Outdoor grilling parties are a nice way to enjoy pleasant fall weather and have good food. You can grill your bati’s outside and give them a more authentic feel because originally bati’s used to be grilled in cow-dung cakes. Bati’s taste even more authentic when grilled outside on low heat on a cool fall day while family and friends enjoy the outdoors. Papads can also be made on the grill. 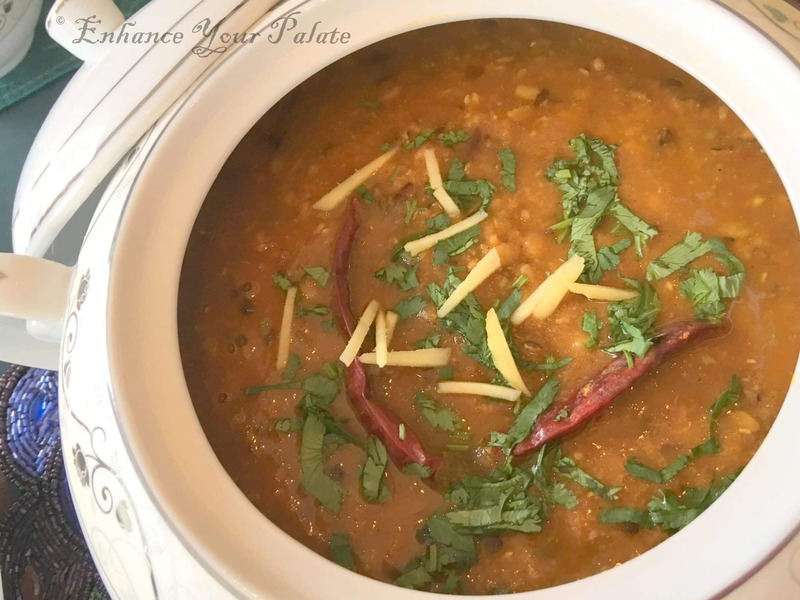 Once you are done with all batis, use the low heat to keep dal and other accompaniments warm. When you preparing your grill at that time you can use the heat to grill your egg-plant for baigan bharta. Delegate grilling to other adult family members and make them part of the team. Your event will be more fun for everyone this way. 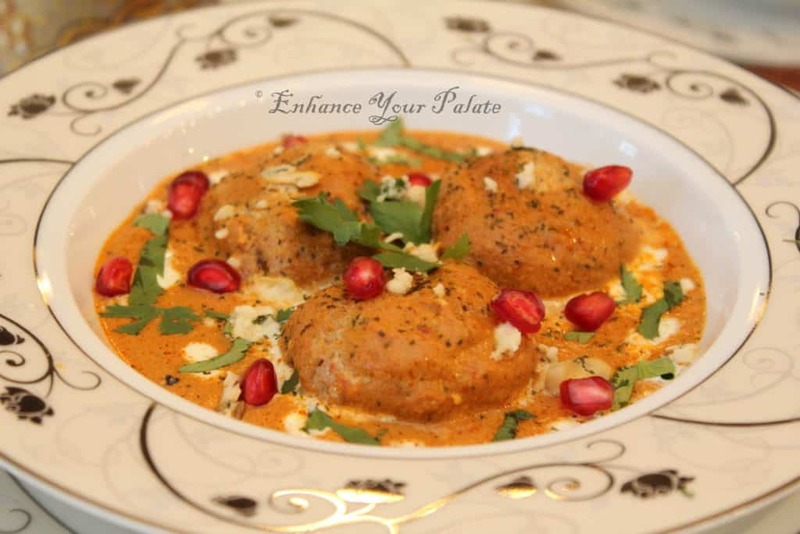 Enhance Your Palate specializes at nutritionally enhancing traditional recipes by modifying ingredients and using more healthy ways of cooking, such a steaming, baking or grilling etc. You can find enhanced versions of each of the above recipes on our website. See details below. Any meal is incomplete without having a protein rich component. In vegetarian meals, lentils are most commonly serve this purpose. 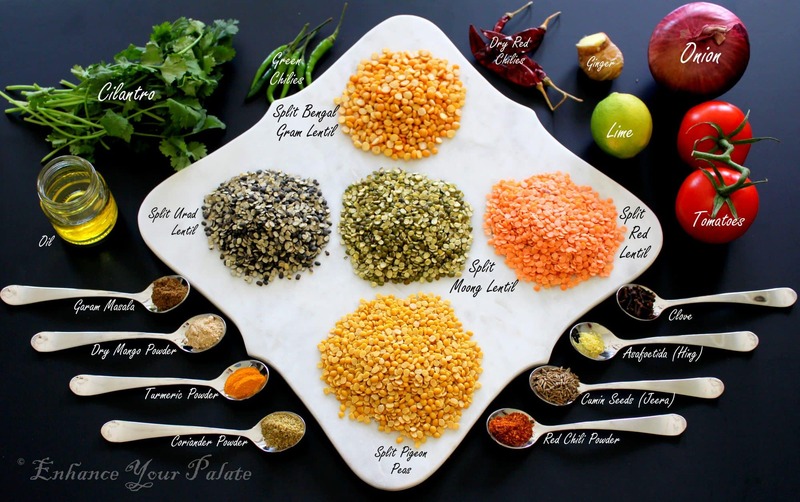 ‘Panch’ means five and ‘Mel’ means mixing, hence ‘Panch-mel’ refers to lentil sould made by mixing five different types of lentils. Mixing different lentils not only gives lentil soup a unique flavor but also nutritionally makes it more complete. Traditionally, in dal-bati combination you pour dal over the crushed bati and then devour it. Panchmel dal tastes best when served with unleavened Indian breads such as missi roti, tandoori roti, bati or khoba roti. Shahi Gatte is a royal dish of Rajasthan, which was often served in lavish royal meals. Yet, it is not very popular compared to other versions of Rajashtani gatte recipes. In this meal plan, this serves the purpose of the rich curry for the menu. 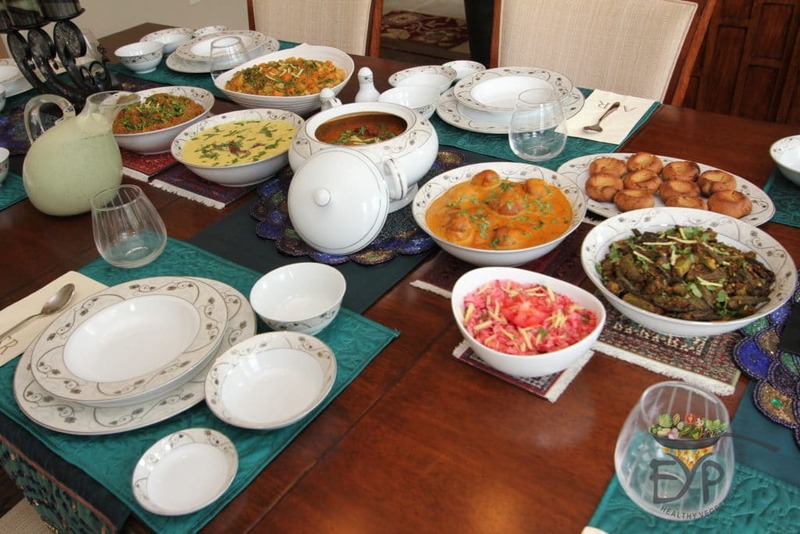 Traditional, yet not a common recipe served in Indian food gatherings. This dish will certainly make your menu stand out. 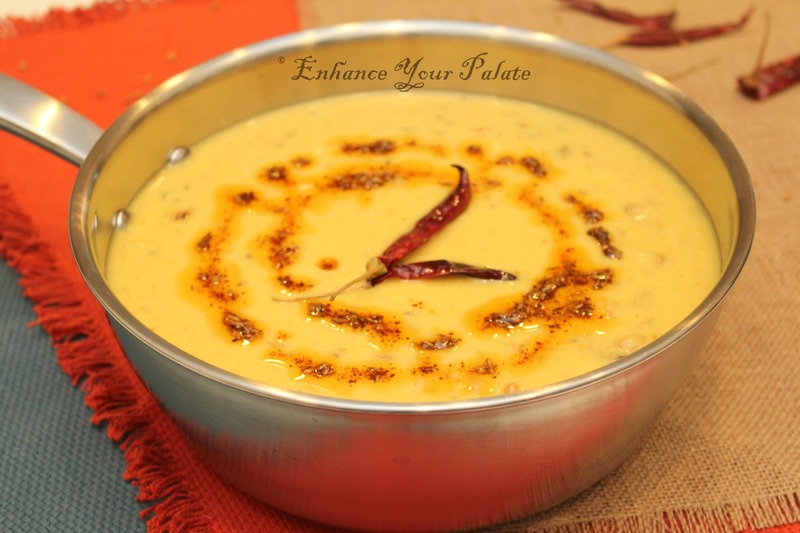 Mangodi Papad Kadhi is a yogurt based light curry, which at the same time adds more protein to the menu. This authentic Rajasthani Kadi is commonly served as an accompaniment with staple foods such as finger millet, rice or Indian flat breads. In this mean plan, it serves the purpose of providing a light yogurt based option and accompaniment for bajra khichdi. 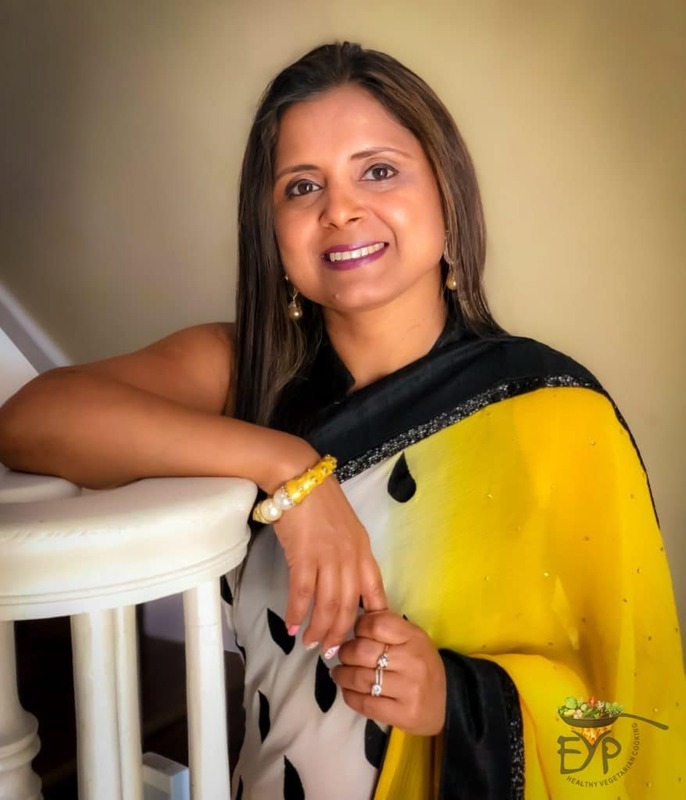 This is a different version then more popular Punjabi khadi, hence this would be a new experience for even those who are familiar with Punjabi kadi in general. 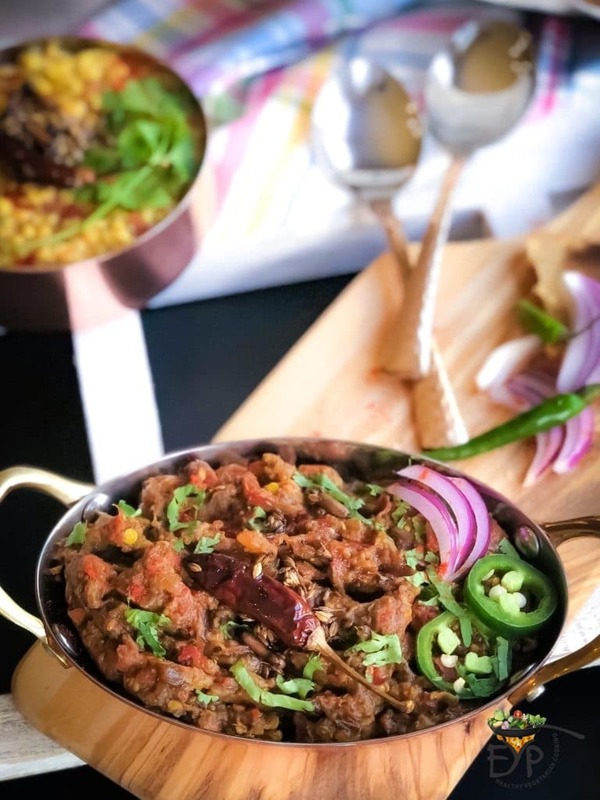 Baingan Bharta is an authentic Indian recipe made with smoky roasted eggplants and tempered with onions, tomatoes and spices. 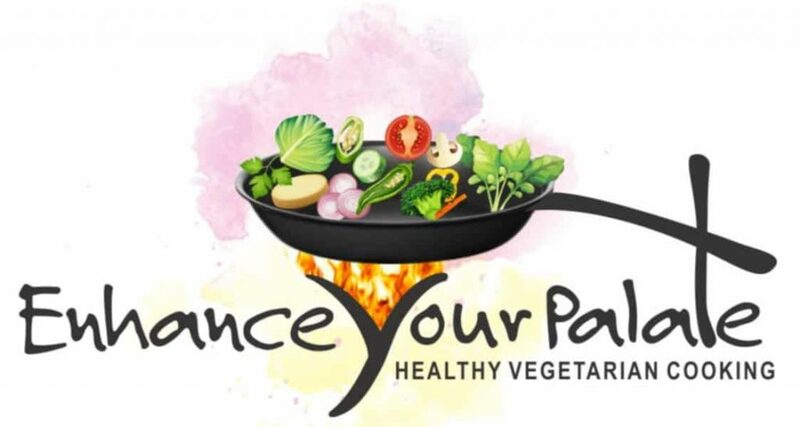 In this meal plan, Baigna bharta adds a dry curry vegetable dish to the menu. 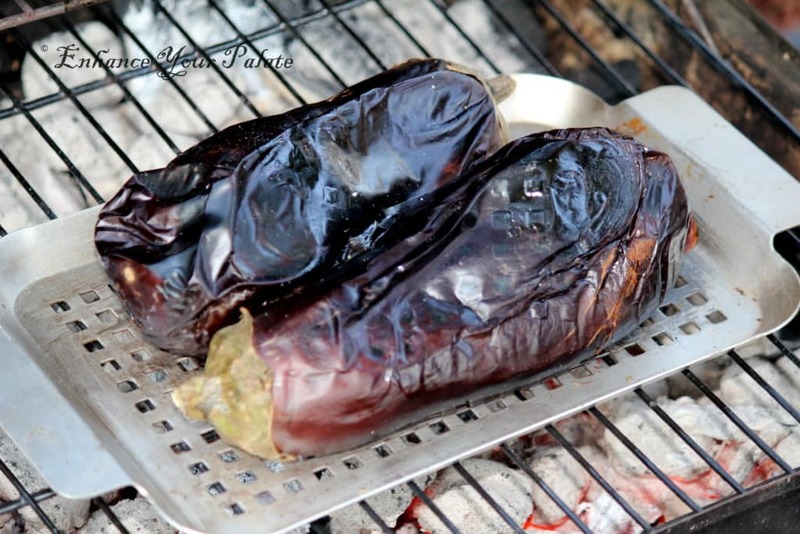 Roast your eggplants on the grill while you are heating it up and preparing for batis. EYP version of this recipe has been enhanced by adding roasted red bell peppers. Red bell pepper adds a nice tone to the color of the recipe. Even though eggplants themselves are nutritionally packed vegetables, addition of red bell peppers enhances it further. 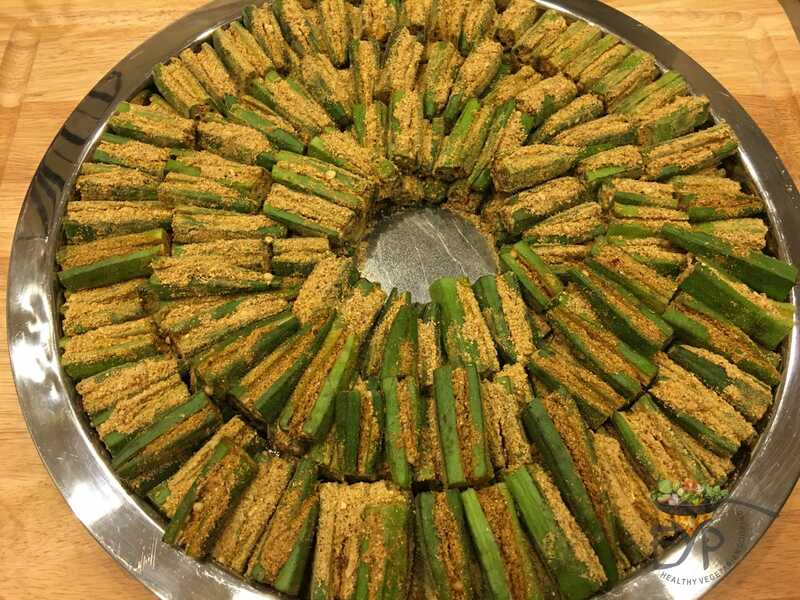 There are many recipes available online to make bhindi, but the recipe that goes with this menu is the stuffed Rajasthani bhindi. Unfortunatealy, we have not bee able to pulish this recipe yet. 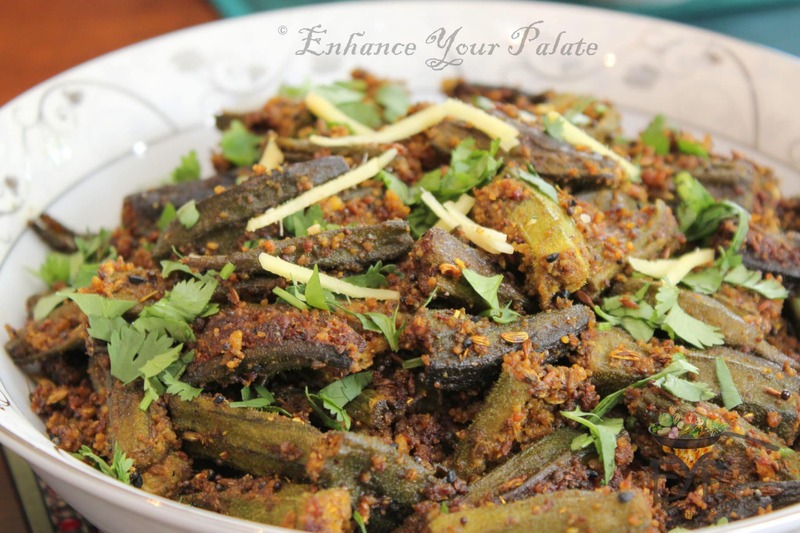 When looking online, search for Rajasthani Stuffed Bhindi Recipe. Bati is the main centerpiece of this menu. Well cooked bati is supposed to be crispy from outside and soft from inside. As metioned before, traditionally these were cooked over low heat simmer of cow dung cake. If you are using grilling or oven, it make take some time to get to perfection, so make a little extra. 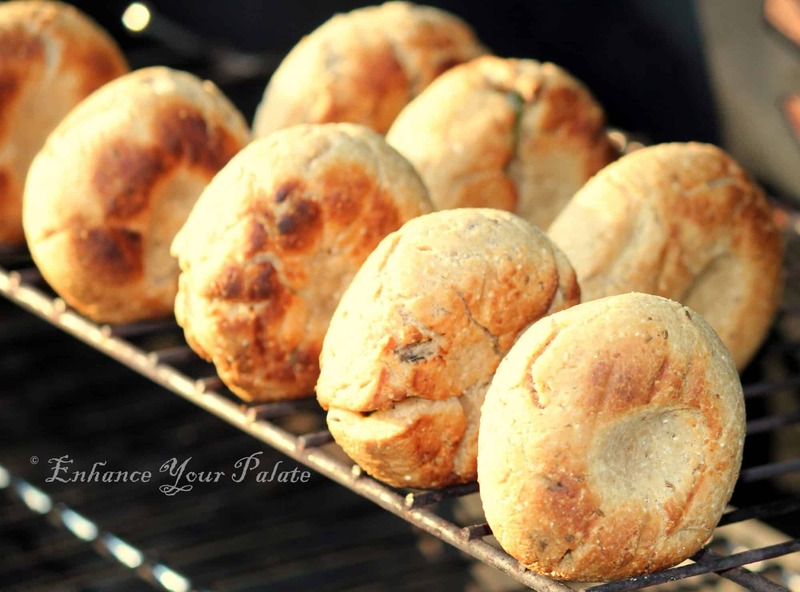 Batis can be made plain as well as stuffed, known as masala bati. 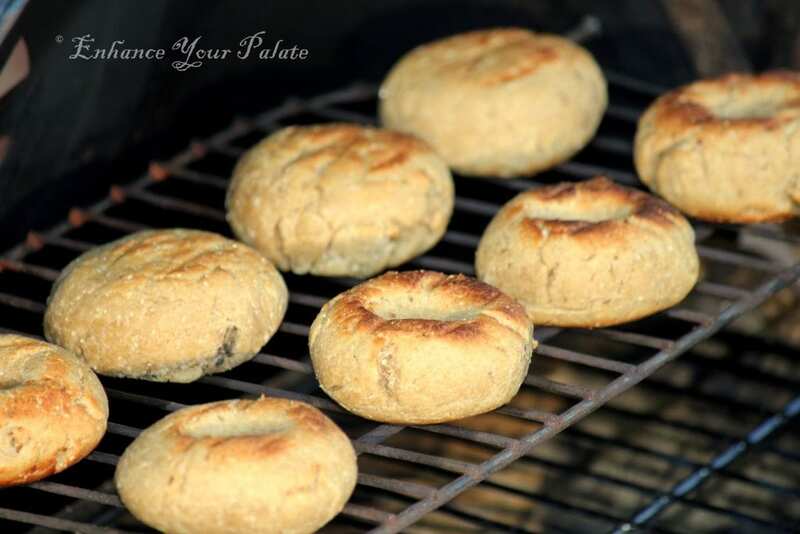 EYP bati recipe has been enhanced by adding different flours to the bati dough, which in turn give a better texture, taste and flavor to these batis. Bajra (Pearl Millet) Kichdi is itself a wholesome meal in winter season when combined with Rajasthani mango kadhi. Due its soft texture, this makes a perfect kids friendly food. Hence this provides a light option for kids and grown-up who are not able devour other foods due to being on restricted diet. Perfect for those watching their diets carefully. EYP recipe for Bajra khichdi is enhanced by adding different vegetables to the recipe. Just as, no party meal is complete without a dessert option and dal-bati is incomplete without Churma. EYP version of this recipe has been enhanced by mixing different flours, spices and nuts. 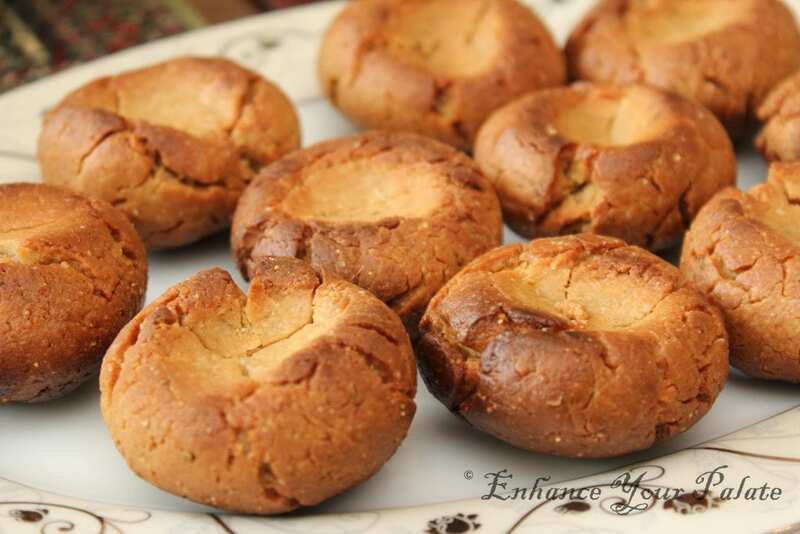 Churma can be served in crumbled form or as ‘ladoo’. 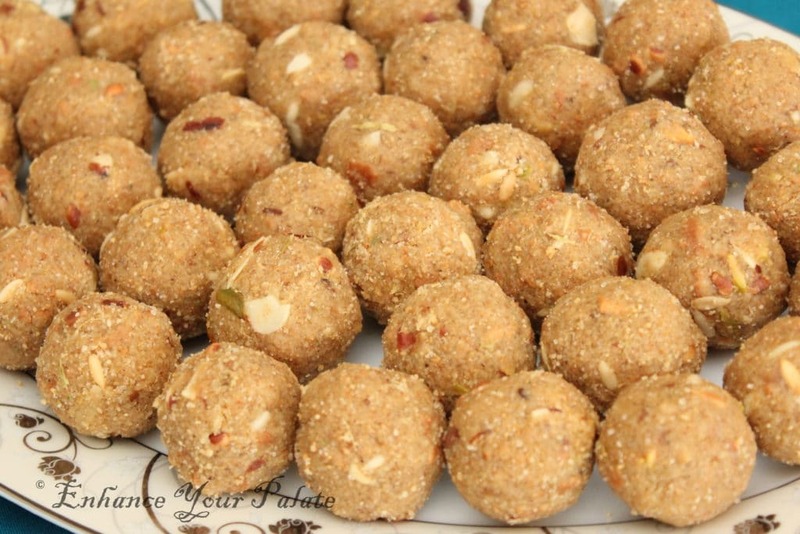 Churma Ladoo are much more convenient to serve, store and eat in a portion controlled manner. You can prepare these in advance to reduce the effort during the actual event. These are perfect bite size for kids to grab anytime and keep them fueled. Final Tips – Best way to enjoy the day is to do some preparation in advance and then involves others in final preparations during the get-together. This will make your event fun for everyone and your guests will cherish it for a long time. You will create memories together even if some items don’t turn out to be perfect. There are some days we don’t care and just want to indulge ourselves in something that would enhance our palate. 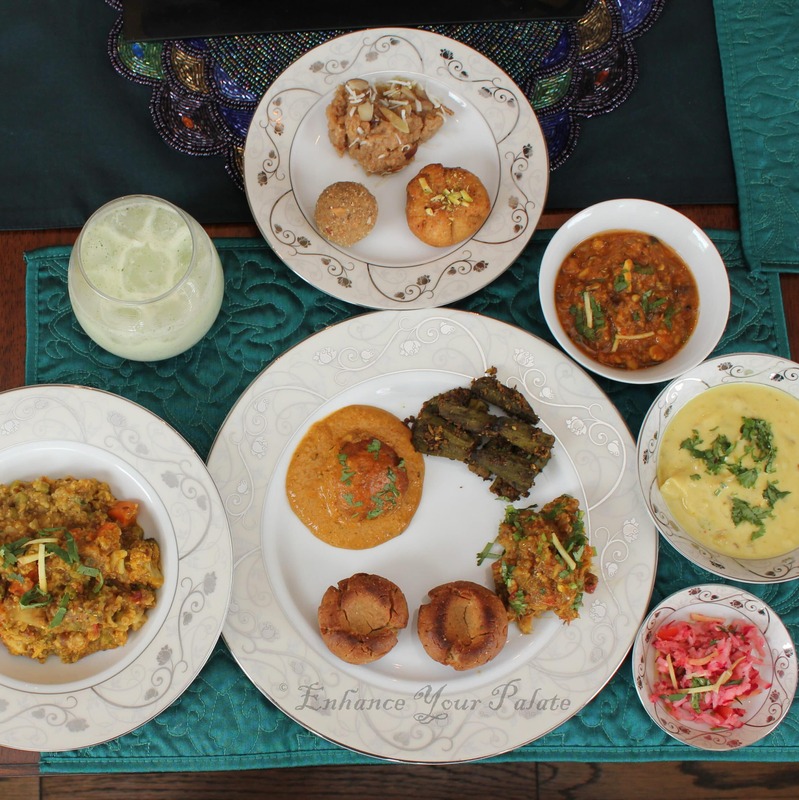 This meal plan is perfect for those special festive occasions. Amazing menu! 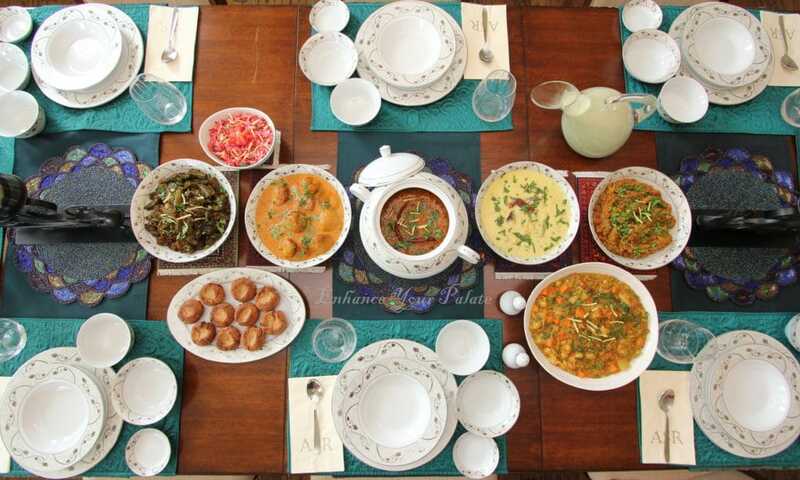 Thank you for sharing, I am from Rajasthan ,so I make these dishes but got theirs unique idea from you about making this menu for get together ?. I’m still awaiting your recipes which you shared for your husband’s birthday party . Please do share those recipes as well. Hi Milu, isn’t this a great menu to showcase our heritage, I just love throwing dal Bati get togethers, this is one of my favorite Menu. I am so glad that you also loved the idea. I know, I still have to do the recipes from my other spread. It’s just a bit slow process at my end with kids and family needs I am still not able to give 100% time to my blog. But I’ll try to post them as soon as possible for sure.